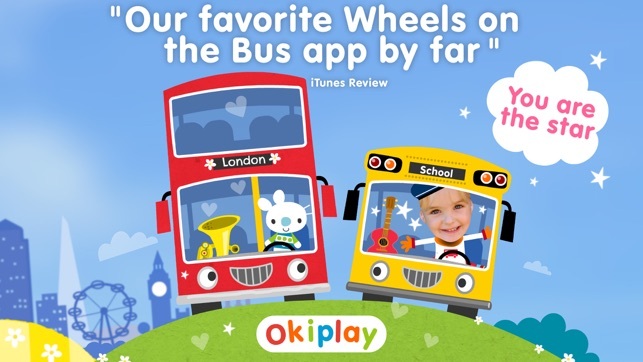 "Our favorite of the Wheels on the Bus apps by far!" 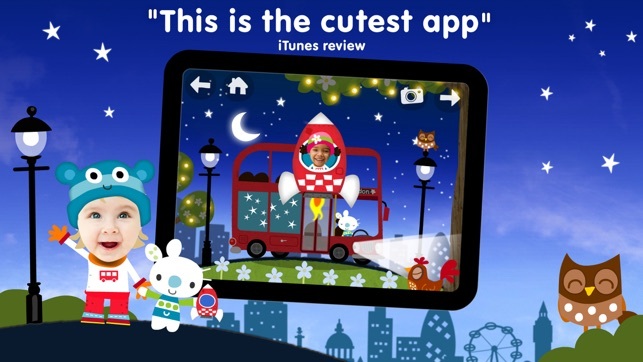 Packed full of quirky hidden treasures and adorable musical fun, this is the ideal app for Wheels on the Bus fans. Who’s the cutest bus driver of all? Your toddler of course :) Sing-along to the most popular nursery rhyme of all time, as you drive your yellow school bus and big red double-decker. Discover delightful interactive surprises on your ride. Stop to pick up super-cute passengers, beep the horns, swish the wipers, then there’s a baby to soothe... time for a game of Peekaboo! 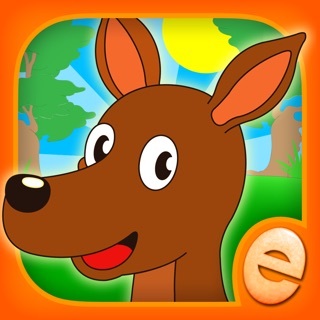 This is a safe app, carefully designed for toddlers (2-5 year olds). 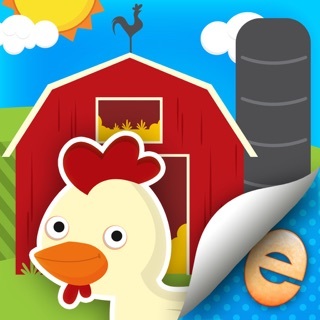 There are no in-app purchases or third-party advertising, so you are free to play and discover without interruptions. 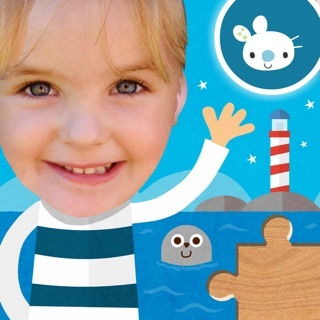 * "As a speech therapy assistant, this is me and my kiddos' favourite app! It's so awesome to personalize the game with their own face, and add different hats and hair." * "I am an SLP working with 3-5 year olds. This interactive game really keeps their attention. They are very engaged and love being a part of the game. 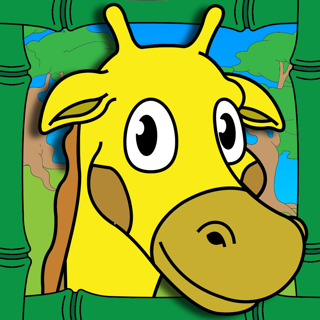 I love all the speech and language opportunities." 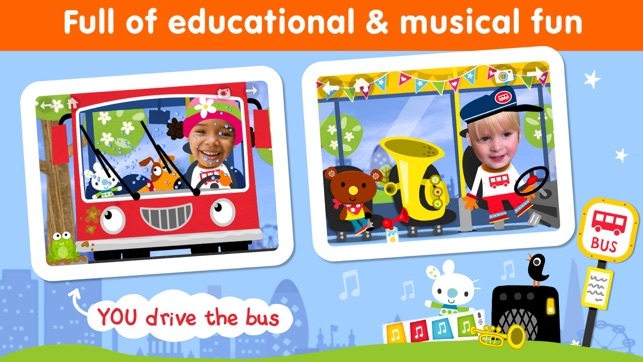 Drive your favorite nursery rhyme bus! 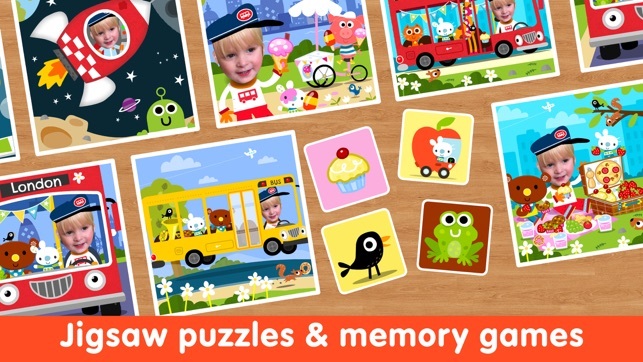 Interactive sing-along, educational puzzles & memory games all updated to ensure a super fun bus ride. This app is a must! My daughter loves nursery rhymes and right now "The Wheels on The Bus" is her favorite. 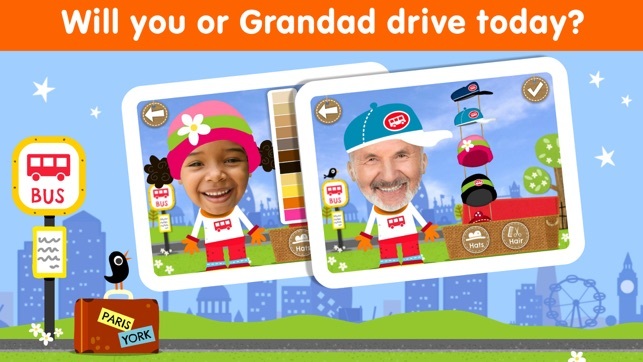 I love how you can add your child's photo as the bus driver. 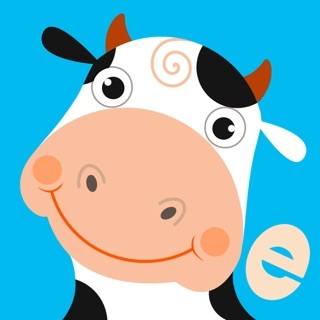 My daughter says "bus, bus" and I know she wants to use this app! We laughed for so long after seeing her little face on the cartoon bus driver. Love all the fun noises and how the different objects move when you touch them. Our favorite is the blanket peek a boo scene with the little baby. My daughter laughs over and over again! Thank you for this app! The personalization is so creative! What a great idea! 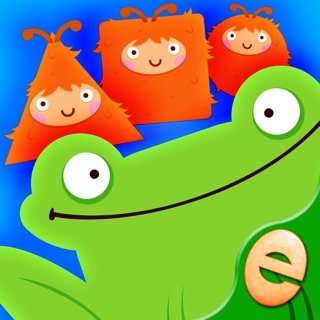 I love the vocals and fun affects of app are great! Money clinking would be a great addition for the red double decker bus!!! This song is a childhood favorite and it has been done in an A+ fashion! 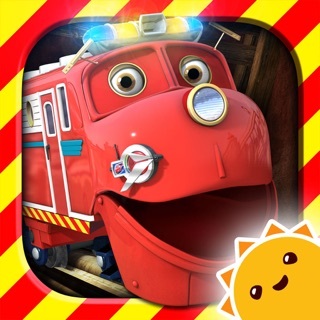 I also have to say, the developers of this app really do read the reviews and respond! They truly care about making their apps the best they can be! Thank you very much for Wheels on The Bus!!! 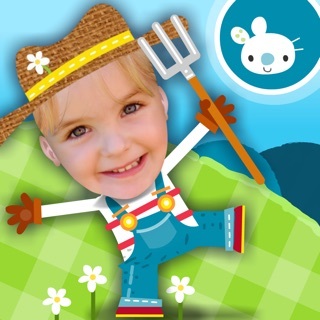 I downloaded this one for my granddaughter and she loves it! She's only 2 1/2 and it took her some time to recognize her own face on the character driving the bus. But I also feel it helped her with self awareness. She can pick it out of the MANY other apps I have on my iPhone.